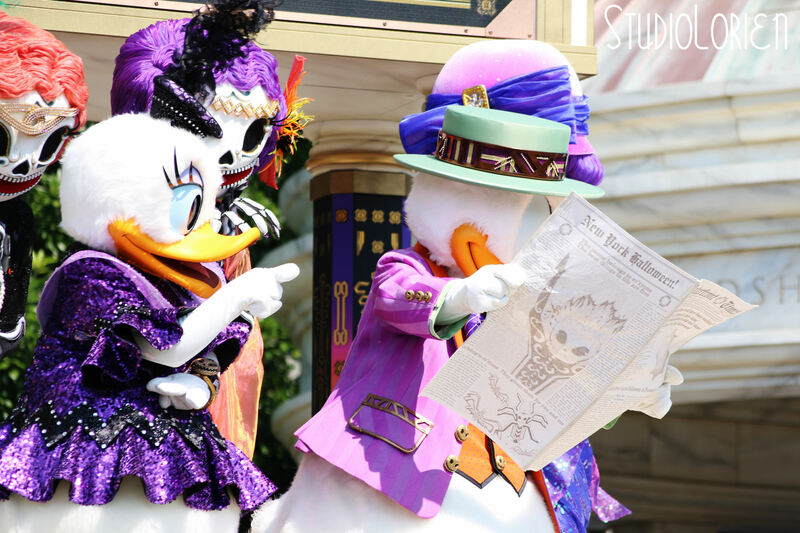 Halloween Follies is a new show that started this year at Tokyo DisneySea and can be watched at the American Waterfront Park multiple times a day. 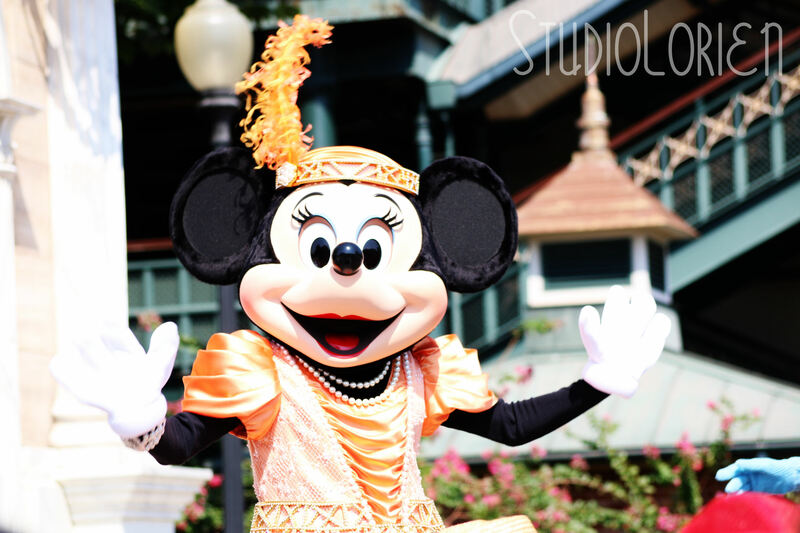 The show is based on 1920’s fashion and music. 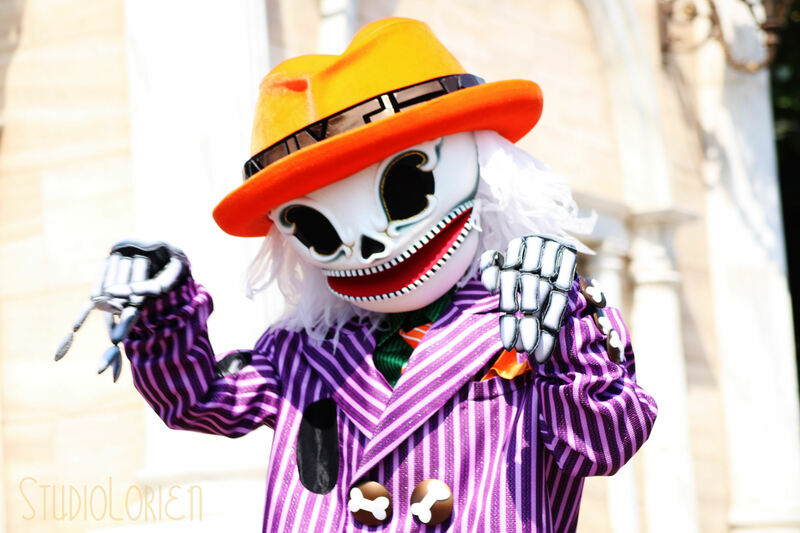 All of the characters and visiting skeletons are dressed up in costumes from then. I love both the costumes and music from the show and am sad that it won’t be coming back next year. 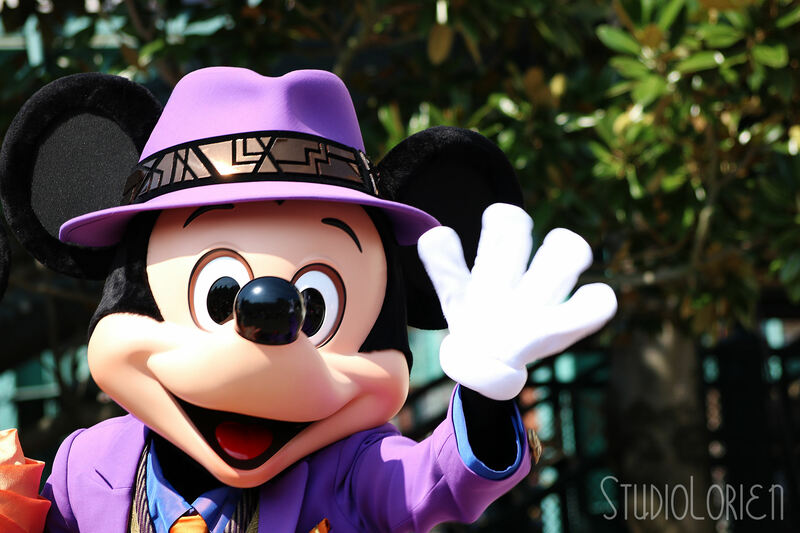 This was a year of purple costumes for Mickey! 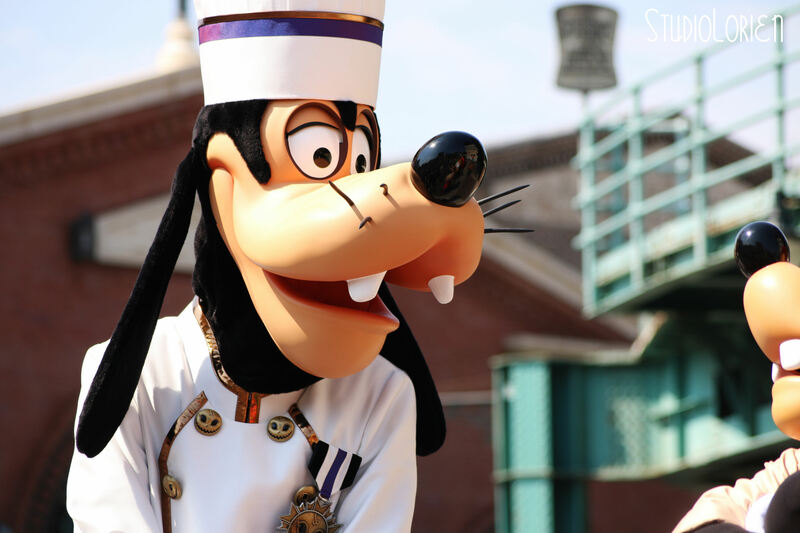 Goofy looks taller than ever with his chef’s hat! 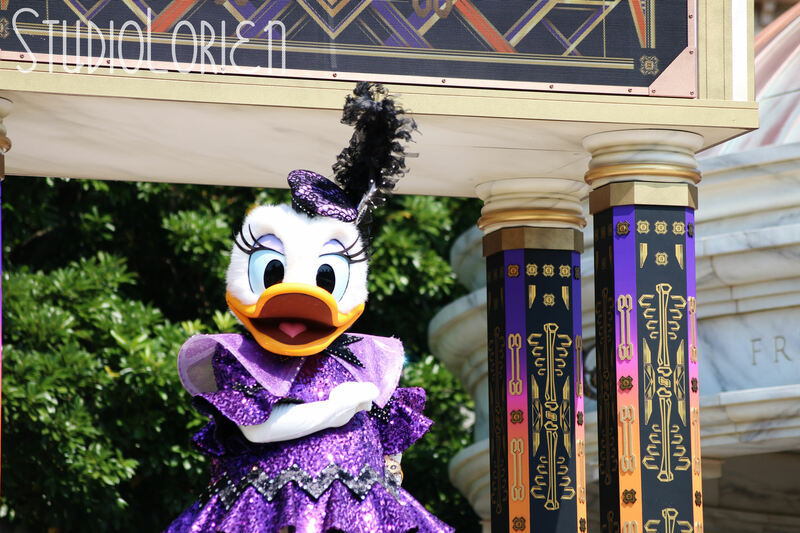 Daisy Duck is here to teach all about the world of fashion! 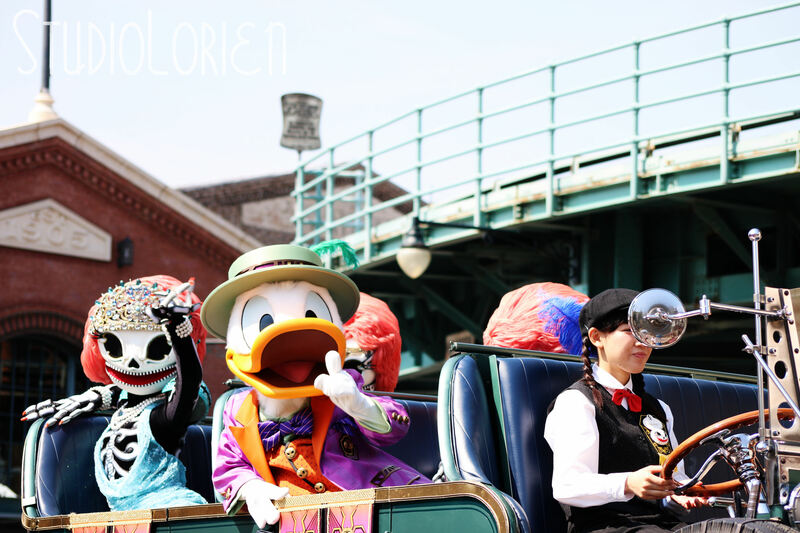 Of course we can’t forget about Donald in his hot car! Look at me! I’m the king of New York! The soundtrack for Follies is a MUST buy! Poor Uncle Scrooge doesn’t like the skeleton friends and is a bit scared of them so he brings in gang leaders Chip and Dale to take care of things! After distracting the acorn beach ball throwing gang members with the Skeleton Dance from last year everyone has a great time! I thought it was amusing how they announced multiple times before the show to warn guests that large beach balls would be flying through the air! Sorry for the heads, but I couldn’t not include this photo! I really hope to see this show a few more times before it ends and is gone forever. 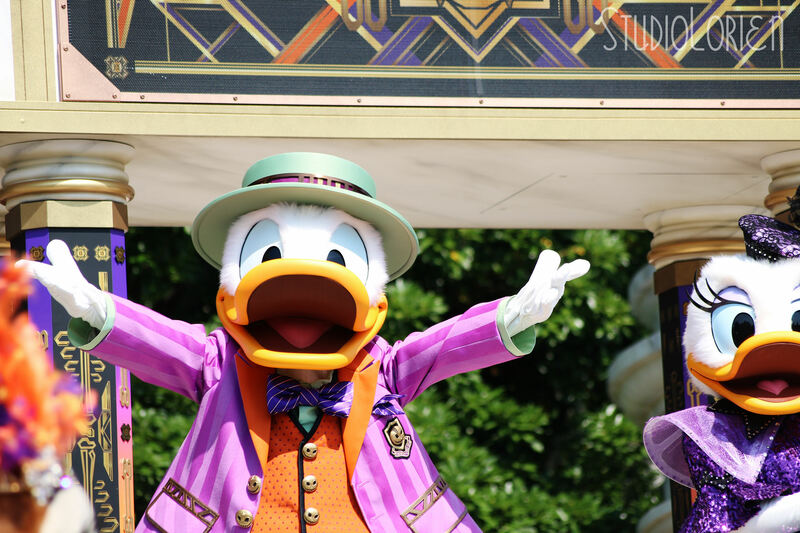 It would be nice to see the costumes being reused at another time even if they don’t do the show again. If you’re in Japan for Halloween I would highly suggest you make a bit of time to check out this show even if from a distance! The music is fantastic! Well, I think so anyway. The front half of the Waterfront Park switches out guests after every show (and lines are formed around the Waterfront Park for guests who want to watch later showings in that area) , but the back half you could sit all day if you wanted! The day we went was extremely hot and sitting for three and a half hours in the hot sun was torture. Now that the weather is cooling down a bit more we may attempt it again. If you’ve seen this show make sure to let me know what you thought of it! 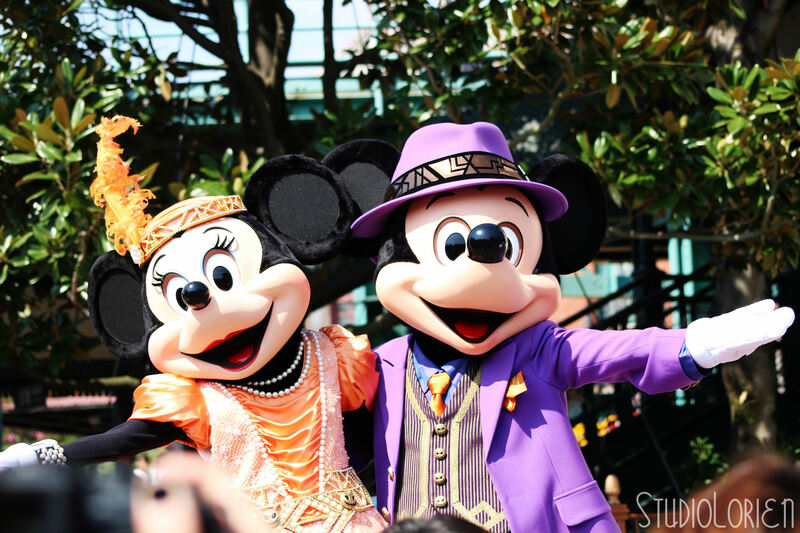 Get the Tokyo DisneySea soundtrack from Amazon Japan! This CD also includes the track from Chip’n Dale’s Skeleton Fiesta! Two thumbs up!!! 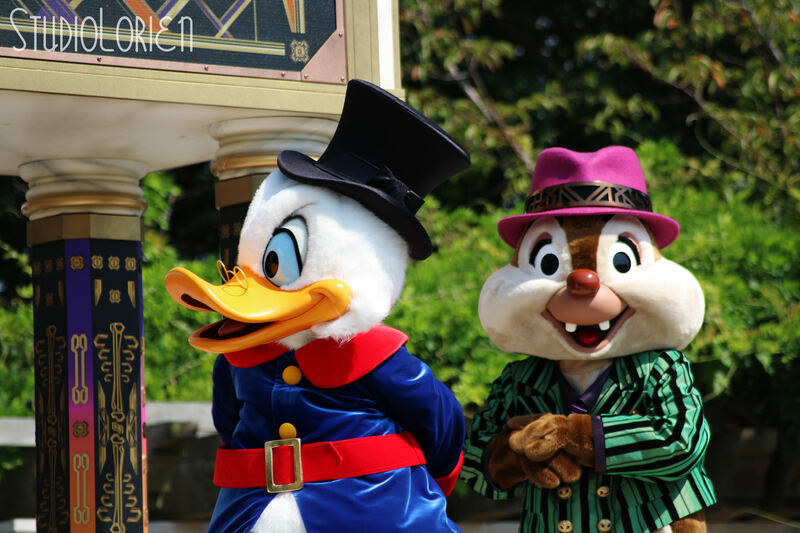 Wow chip and dale! Who knew!